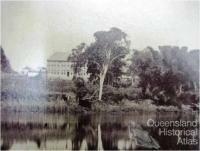 For more than one hundred years Queensland’s main mental health facility was based on the banks of the Brisbane River near Goodna. 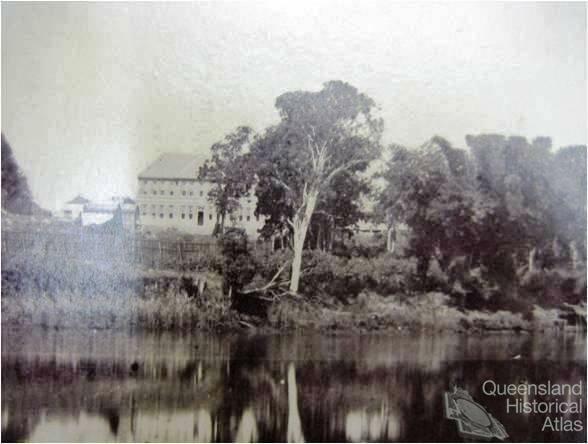 The institution established in 1865 as the Woogaroo Lunatic Asylum was Queensland’s first public health institution. By accretion over many decades, the surrounding landscape became the location of many of the State’s major institutional facilities, including prisons, an army barracks and a migration hostel. Prior to 1859, mentally ill people in the colony of Moreton Bay were sent to Sydney. Once Queensland became self-governing, local solutions needed to be found. The Brisbane Gaol in Petrie Terrace was initially used to detain ‘lunatics’, although the Visiting Justice commented in 1863 that conditions there would ‘drive men mad’. 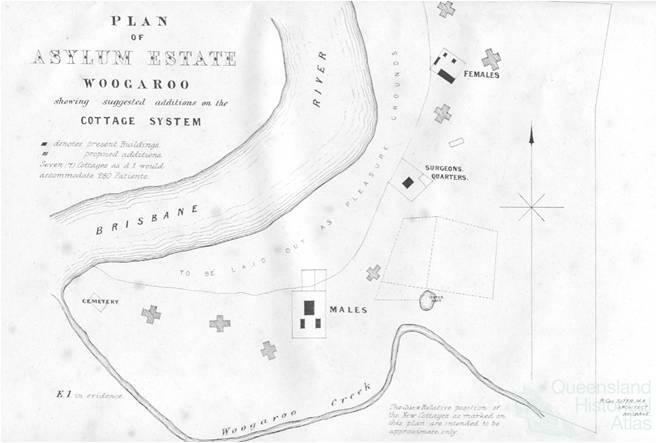 In 1861, a site for an asylum was selected on the banks of the Brisbane River at Goodna. 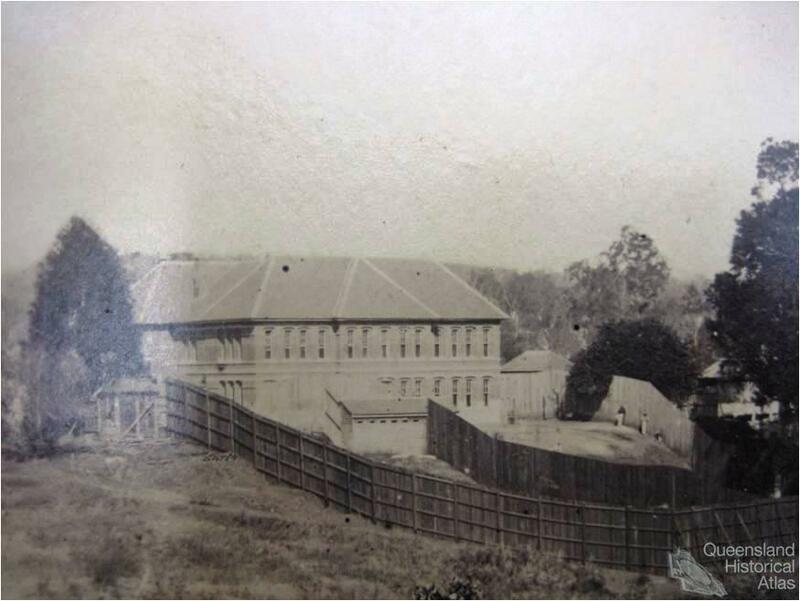 Construction began in 1863 and the first inmates arrived in January 1865. There were high aspirations for the asylum. Governor Bowen reported in 1864 that a ‘general lunatic asylum … has been built on the best model procurable here, and is surrounded with nearly two hundred acres of gardens for the use and amusement of the inmates.’ This claim was exaggerated – for many years to come the gardens would be no more than an aspiration, conditions primitive and minimal facilities, let alone amusements, for inmates. The nineteenth century asylum was founded on the principle of separation. The insane were to be separated from the city and their family and friends for their own protection, and for the protection of society. The asylum’s location and architecture reinforced this separation. 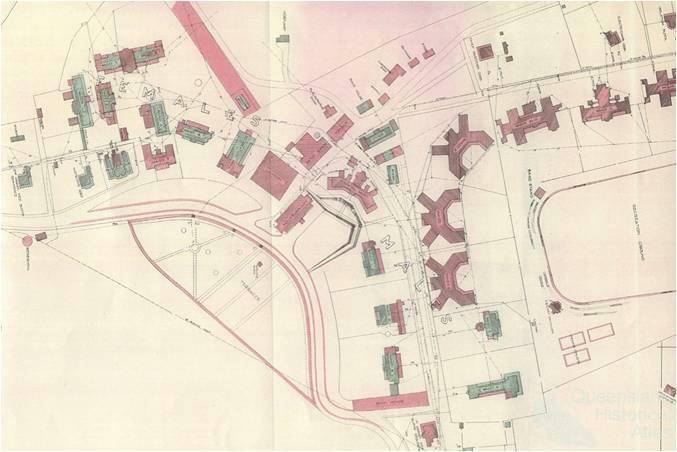 Typically, asylums were placed at some distance from the city, which was seen as a source of corruption and disturbance that was reflected in the disordered mind and behaviour of the insane. In a more rural or pastoral setting, insane patients would free themselves from the disturbing associations of their former lives. The site chosen at Goodna mirrored this rationale. The earliest buildings were located close to the river. As one flood after another took its toll, and the population doubled and trebled, new buildings advanced up the hill and across the site towards the east. 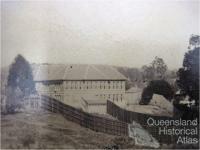 Inmates came from all over Queensland and their numbers increased rapidly from the 1860s to the 1930s. 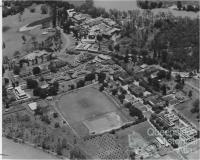 By the mid-1950s Goodna (as it was then commonly known) was the largest single mental hospital in Australia, with about 2500 daily average residents and a staff of nearly 800. Over the life of the institution, more than 50,000 people were admitted. Such a substantial institution required a large staff and the place became a self-contained and self-sufficient community. Some staff resided on the site, others in the nearby village and later suburb of Goodna and its surrounds. During its history, the institution was constantly re-named, reflecting both changing ideas about psychiatric care and the constant desire to escape the stigma associated with an institution for the insane. 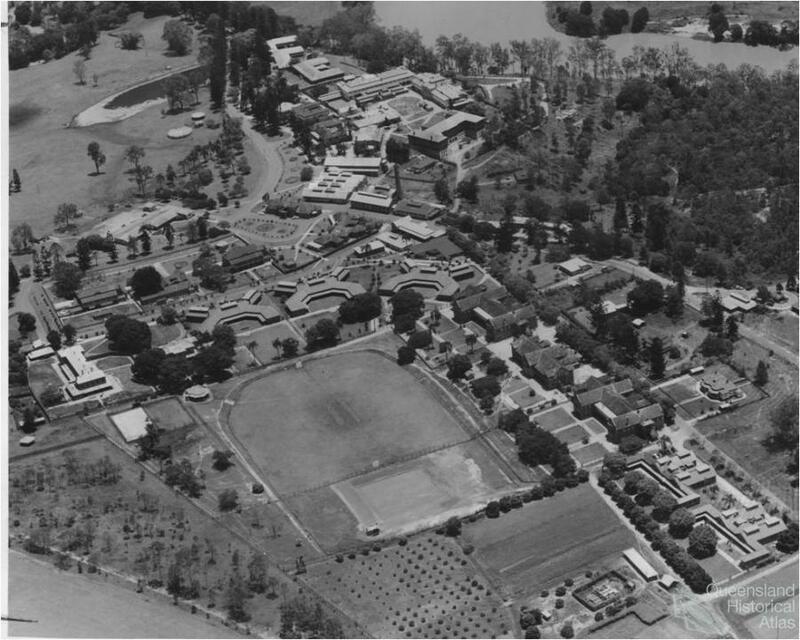 From Woogaroo Lunatic Asylum it became Goodna Hospital for the Insane, then Brisbane Special Hospital, then Wolston Park Hospital, and is now called The Park Centre for Mental Health. The topography of the hospital and its remnant historical buildings is best understood today through appreciation of the impact of its long-standing medical superintendent, H. Byam Ellerton (1909-37). By the late nineteenth century, the challenge of managing a large institution where many people were likely to reside for the rest of their lives, led to an era of ‘moral management’. As they sought to cope with the ever-increasing institutional population, superintendents became preoccupied with questions of institutional design, management and the training and supervision of staff. From 1909, an English-trained psychiatrist, H. Byam Ellerton, transformed the Goodna site into its modern form. The institutional environment was his utmost concern and he was responsible for the construction of a large number of wards that formed the core of the hospital until the 1990s. He was the first Superintendent at Goodna to have any prior experience of mental illness – fifteen years working in asylums in England. There was a utopian element to Ellerton’s vision, one that sought to capture the potential of an integrated, almost self-sufficient community. 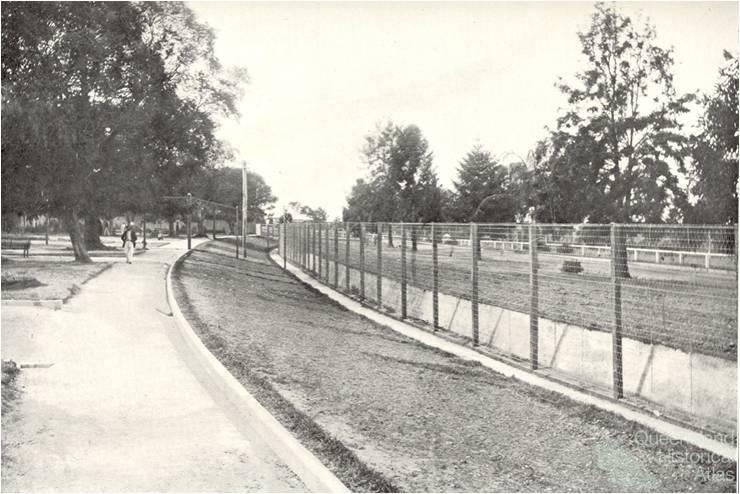 The grounds became gardens, as Ellerton opened up the institution to visits from patients’ friends and relatives; wooden fences were replaced by less claustrophobic wire, or buried in the ground as a ‘ha-ha’. Meal times became opportunities for the social improvement and rehabilitation of patients in dining rooms resembling Edwardian tea-rooms, with tables seating four people in place of benches and mess tables, pictures on the walls and potted palms on sideboards. Ellerton believed patients had their greatest chance of recovering in this ordered, middle-class setting. Ellerton had a particular fondness for music as an improver of spirits and mentality and also for cricket, played on what was regarded as one of Queensland’s best ovals, cleared and developed by the labour of the patients. He was particularly proud of the extraordinary ‘bush-house’, 100 yards long and 20 yards wide that provided flowers for the wards and seedlings for planting the grounds. 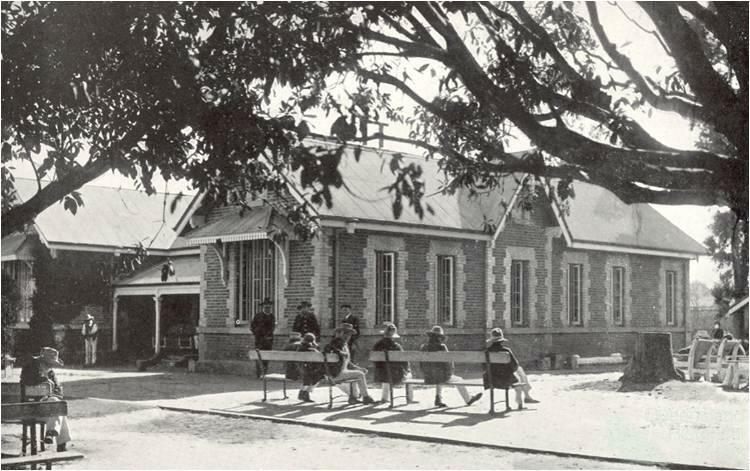 Yet for all of Ellerton’s external improvements, the institution remained overcrowded, short of qualified staff and lacking adequate government funding or interest. Several wards, condemned unfit for human habitation in 1893, still accommodated 350 patients in 1915. In 1913, the Council rat gang exterminated 2080 rats in eleven days and in 1915, another 2065 rats. 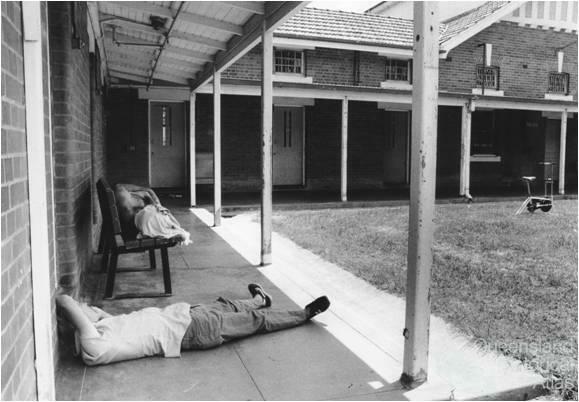 The institutionalisation of those with mental illness in Queensland had become an efficient system of control and regulation with an emphasis on confinement rather than treatment or care. The location of a major asylum in the south-east of Queensland meant for very many of its inmates a trying journey over many days. Special provision over many years was made for transport of ‘lunatics’ in a purposely designed rail-car for travel from Townsville to Roma Street. From there the patients would be transported by another train or a black Maria (police vehicle) to Goodna. Conscious of the impact of isolation of many patients from their family or friends, for many years the Queensland Government supplied a free rail pass for family to travel to Brisbane for asylum visits. The growth of population, the differentiation of function (especially the separation of the intellectually disabled or the geriatric) as well as the great distances of Queensland resulted in the establishment of other mental hospitals, at Ipswich, Toowoomba and Charters Towers. In 1901 about 40 per cent of Goodna’s patients came from outside the Southern districts, but by 1961 this had dropped to less than 10 per cent. By this time policies of deinstitutionalisation were already shaping the end of the asylum era – in the 1980s there were less than 500 patients accommodated at the historic hospital. In 2001 the old Goodna hospital was formally closed. Some of its historical buildings were renovated as part of the new complex known as The Park Centre for Mental Health. The site remains the historic core of a large number of institutions whose isolated location continues to signal the boundaries between society and those excluded from it, for shorter or longer periods.